Diseases have no doubt occured in aquaculture enterprises today and lead to significant economic losses. Scientific efforts have been made to understand causes and how to manage them. We focused on delivering courses of fish health management science and technology, including the diagnosis technique of several fish diseases, application of synbiotic, phyto farmacology, and the development of fish vaccine. Dr. Dinamella Wahjuningrum, S.Si., M.Si. Dr. Munti Yuhana, S.Pi., M.Si. 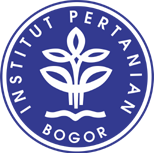 Dr. Sri Nuryati, S.Pi., M.Si.